The residents of eastern James Bay, or Eeyou Istchee (‘the people’s land’), are opening their territory to visitors. Here’s a glimpse at a few communities in the region. 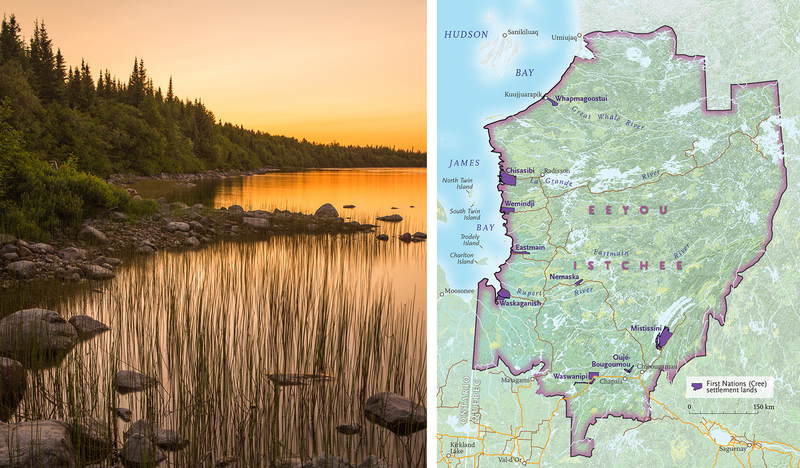 In the May/June issue of Canadian Geographic, which hits newsstands in eastern Canada April 23 and western Canada April 30, James Little provides readers with a glimpse at Eeyou Istchee, the Cree name for their traditional territory on the eastern side of James Bay. This little-known part of Canada is preparing to welcome tourists from other parts of the country and the world. Here’s a look at what it has to offer. If you asked most Canadians where you’d find a place called Eeyou Istchee, they’d respond with a blank stare. And I have to admit that I didn’t know either until last summer. That’s when I learned that Eeyou Istchee is the Cree name for the traditional territory on the east side of James Bay. It translates as “the people’s land,” and it represents a chunk of Quebec about the size of Germany. 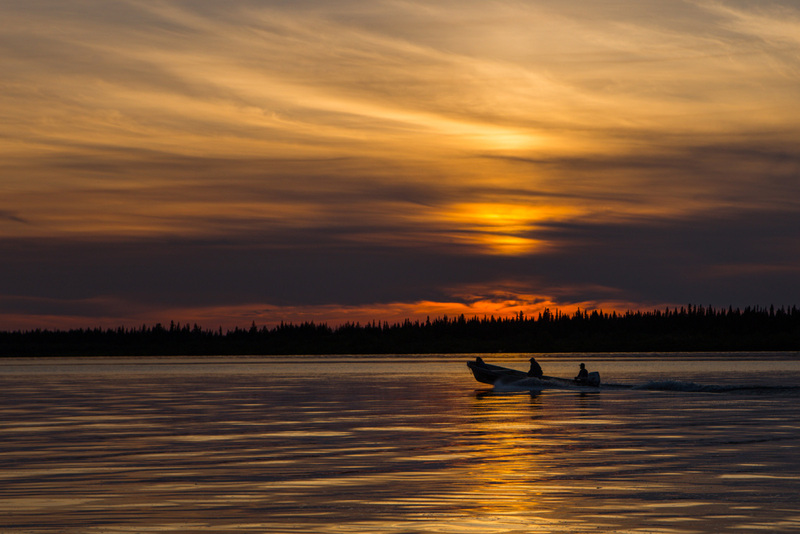 Much of Eeyou Istchee is thick bush, but the region also includes nine thriving Cree communities, four of which sit right on James Bay itself. Many of these have airports, and all but one are linked by road to the south, yet very few tourists come to this part of Canada. That’s partly because of the region’s remoteness, but it’s also because the Cree haven’t gone out of their way to encourage people to visit. In recent years, though, that’s been changing. For nearly two decades now, the Cree have been slowly but surely developing plans to promote their territory for responsible tourism. They started by building the infrastructure needed to receive visitors — most of the nine communities have new or improved hotels and restaurants. Now the goal is to offer tours that combine cultural experiences with the area’s rich history and outstanding natural opportunities. 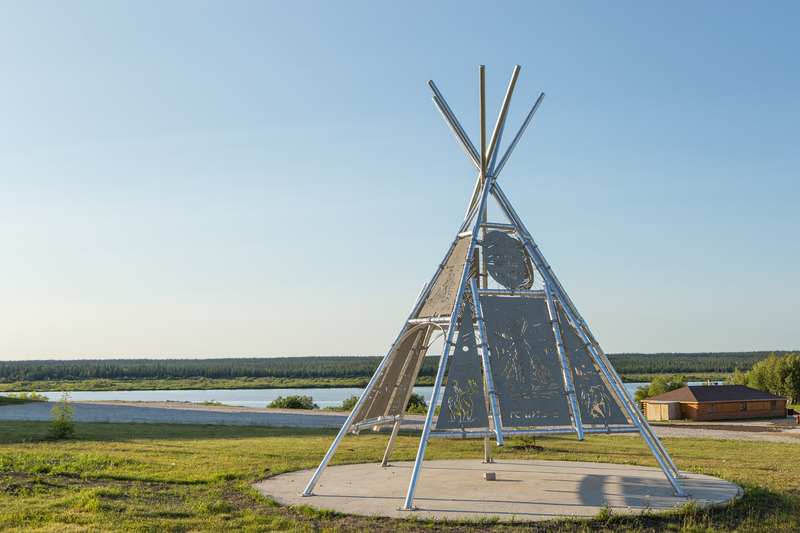 A steel art installation outside of the band council office in Waskaganish, created by local artist Tim Whiskeychan. 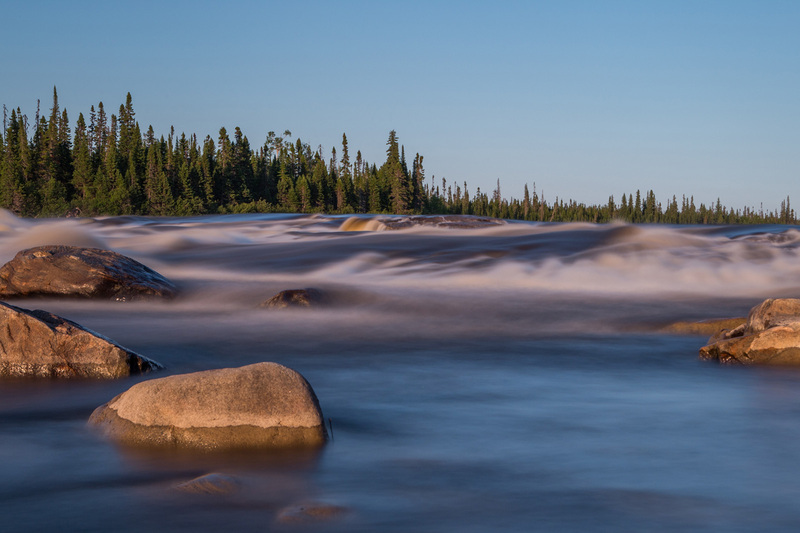 The Smokey Hill Rapids, on the Rupert River, are a traditional whitefish fishing spot near Waskaganish. Sunset on the Rupert River. 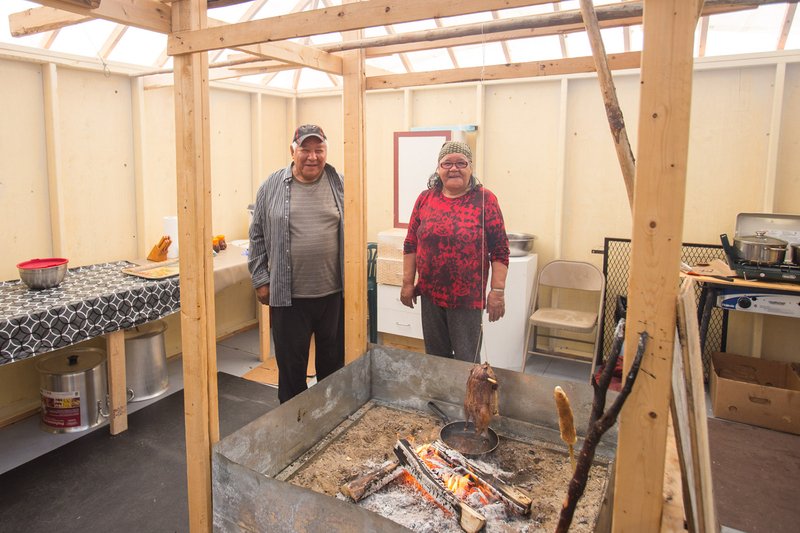 Waskaganish Elders Roderick and Edna Jonah in their backyard mitchuap, preparing a traditional meal of Canada goose, potatoes, bannock and fresh blueberry sauce for their guests. 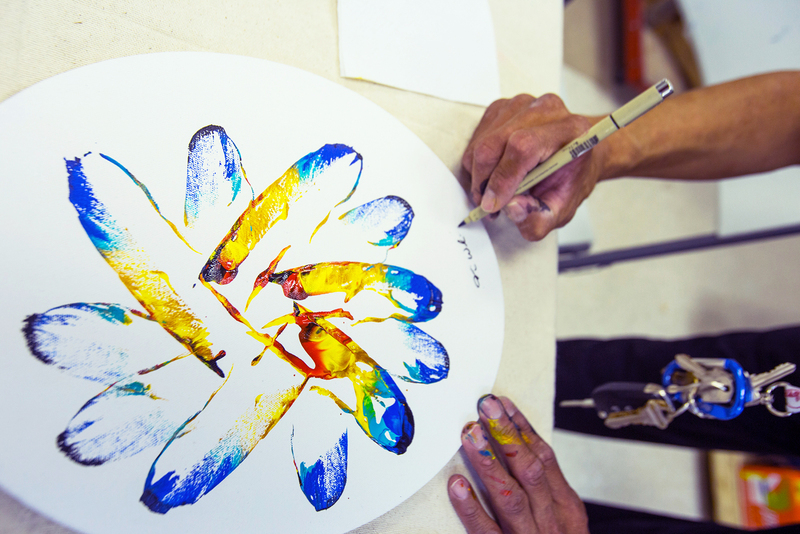 Artist Tim Whiskeychan completing a painting — created using goose feathers dipped into paint and pressed against canvas — in his studio in Waskaganish. 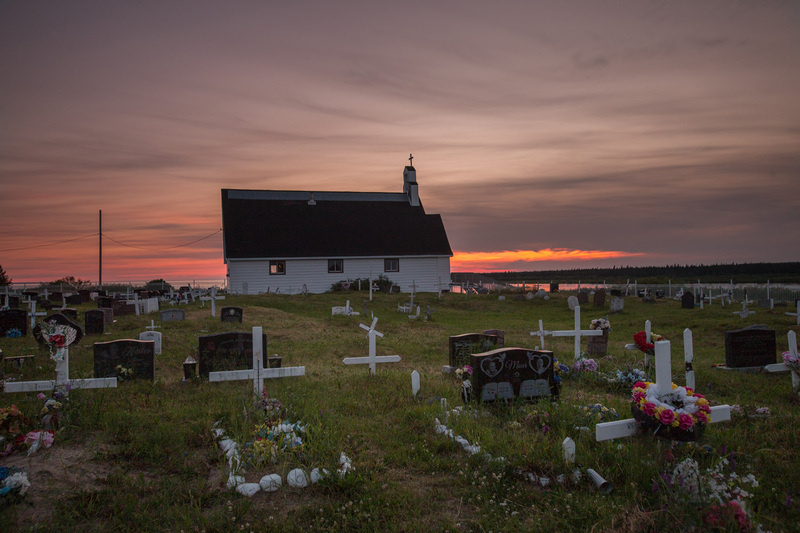 A sunset in Waskaganish frames St. Peter’s Anglican church and the local cemetery. 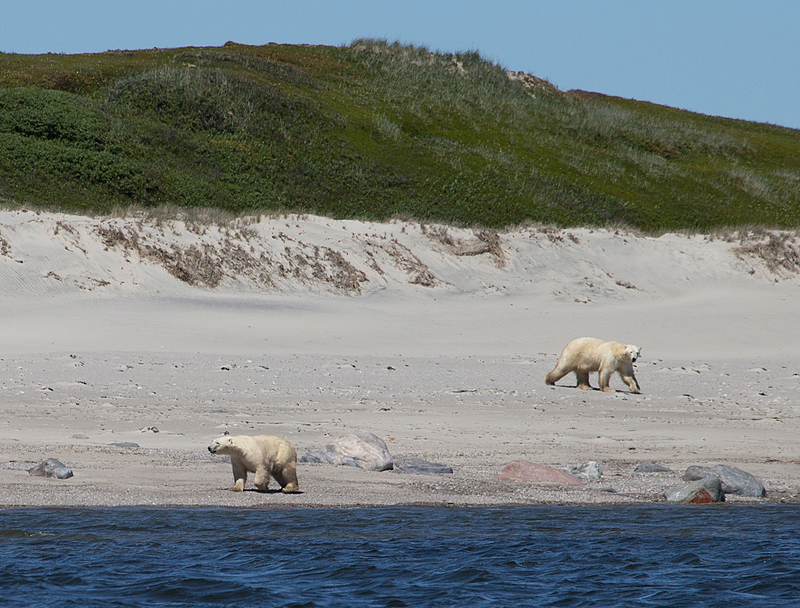 A pair of large adult polar bears wander the shores of South Twin Island, on James Bay across from Wemindji. A mother polar bear, with her cub on her back, making a roughly 40-kilometre swim between the mainland and the Twin Islands. 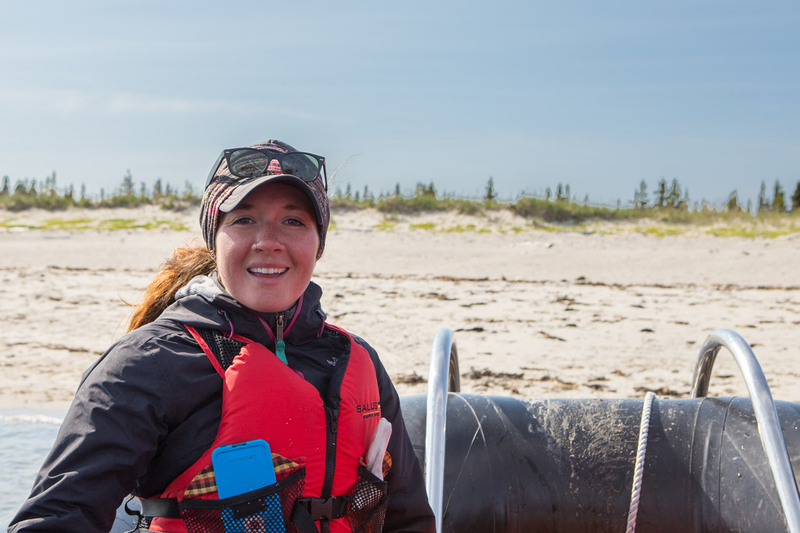 Sarah Lundin of Arctic Kingdom tours visitors past Charlton Island, in James Bay. Arctic Kingdom has been working with the Cree Outfitting and Tourism Association to develop tourism in Eeyou Istchee. 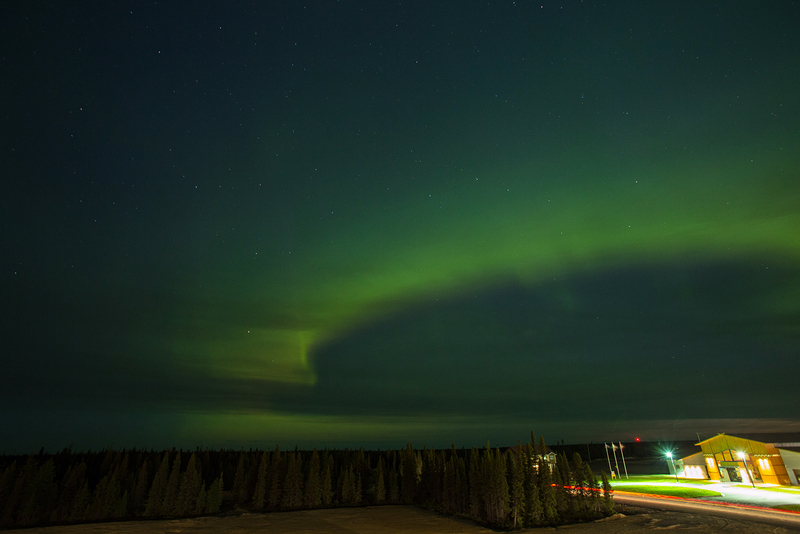 The northern lights dance over Chisasibi, on northern James Bay.